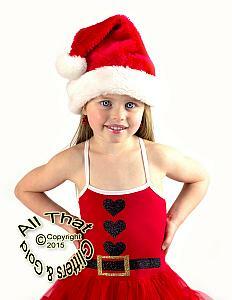 Are you looking for something really cute and unique for your little one for the holidays? 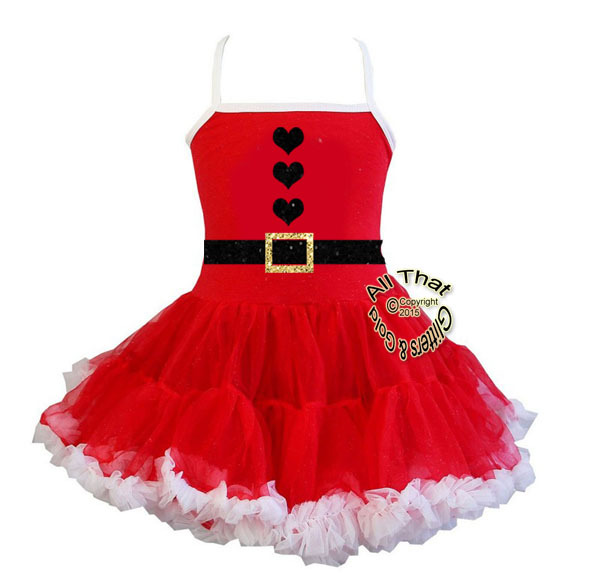 If so, our glitter tutu holiday dress. We are sure it will be a holiday hit! 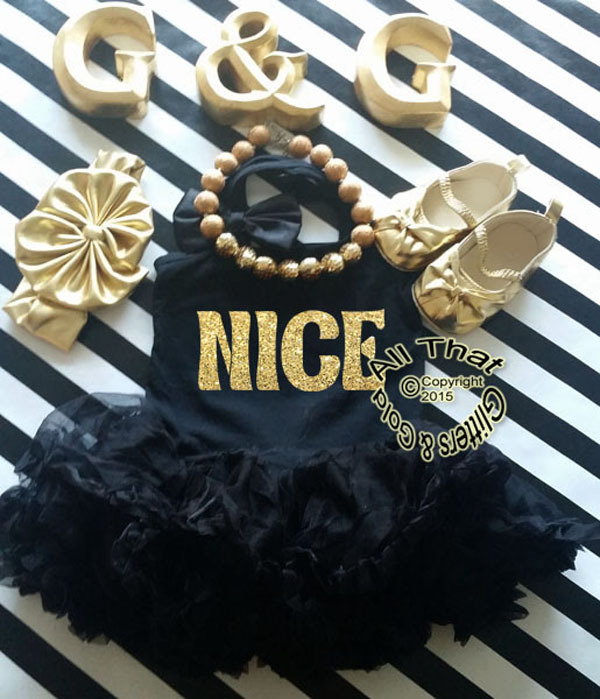 The dress is full and designed with sparkly black and gold glitter. 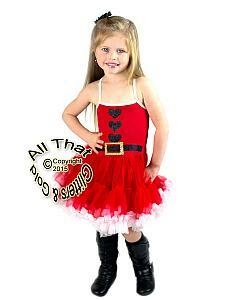 Your little one will definitely be the sparkle in your eye on their very special day. 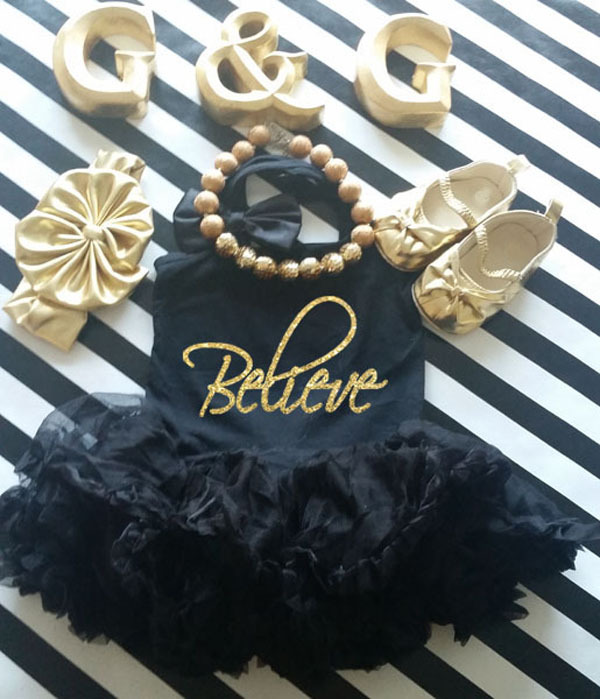 Glitter does not come off and will not get all over your little ones clothing and everyone else's either : ) This outfit is great for holiday celebrations, family photos, holiday parties and so much more! Iron inside out. Do not iron over the letters..